Come for the art, stay for the Photobooth, live streaming, food and bevvies and so much more! 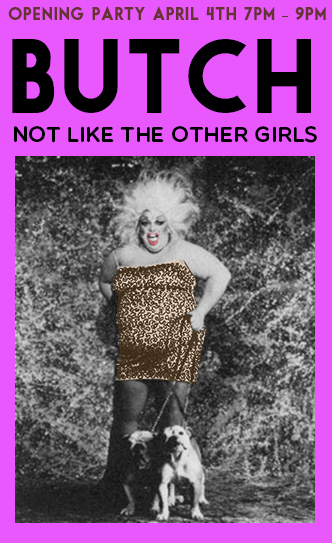 Easthampton, MA: US premiere of SD Holman’s show, BUTCH: Not like the other girls, will be exhibited at the Mill Arts Project MAP (Eastworks 116 Pleasant Street suite 137, Easthampton, MA ) from April 4 – May 4, 2014, with an opening party April 4th 7pm – 9pm. BUTCH is a photographic exploration of the liminal spaces occupied by female masculinity in contemporary communities. Curated by local resident of the valley over 20 years, Amiee Joy Ross, the exhibit is free and open to the public. SD Holman a photo-based artist who has exhibited internationally at galleries including the Advocate Gallery (Los Angeles), the Soady-Campbell Gallery (New York), the San Francisco Public Library, The Helen Pitt International Gallery, Charles H. Scott, Exposure, and Fotobase Galleries (Vancouver). Holman defines as a non-commercial, photo-based artist, a participant observer employing subjective conceptual documentary practice. Holman’s approach to photography is conflicted and perverse, bringing gesture, hazard, and a painterly sensibility into this most technical of media. Hailed by Guy Warrington as “the best portrait photographer in Vancouver,” Holman is also Artistic Director of The Queer Arts Festival, a professional three-week, transdisciplinary arts festival in Vancouver, BC. The MAP gallery is located on the first floor of the Eastworks building suite 137 at 116 Pleasant Street, Easthampton, MA. Gallery hours are Wednesday through Saturday, 12-6pm. The email from Amiee Ross came a few weeks ago. 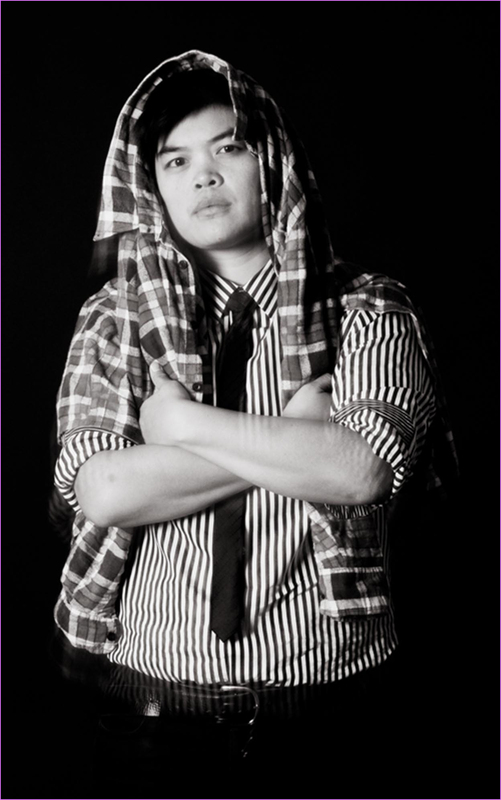 She was pitching a photo exhibit called “BUTCH – Not Like the Other Girls,” and was looking for some publicity. I wrote back saying our arts section was more likely to promo the show but that I’d like to write about her. When I arrive at Ross’ house (a suburban home on a somewhat rural road in Easthampton complete with driveway, garage and a gentle old dog named Joy), we go over my agenda again. The butch event, I tell Ross, was just an excuse to meet her. I have seen her around Northampton for years and admire the way she comports herself. Ross takes on life with enthusiasm. She’s not in your face (well, maybe a little, sometimes), but wants the world to know she’s comfortable in her own body and with who she is. This to me is especially admirable because Ross is a butch lesbian with a beard. Ross asks most of the questions for the first half hour or so, but I finally tell her it’s my turn. I make the first one easy. She’s 51, she tells me. Ross has lived in New Mexico and Los Angeles and San Francisco and Provincetown, traveling around from the age of 18 to 33. She’s Jewish, I learn, though she did not ascertain this fact from her parents until she was 10. Ross has never been to synagogue. Finally we get around to the subject of butch. “Butch” and “femme” are the yin and yang of lesbian relationships. At least this is the common wisdom. The “butch” is the more masculine of the two, although this might not be apparent to the casual observer. As I recite the facts as I know them, Ross is careful to correct me, pointing out when I’m making assumptions. She doesn’t like being put in a box. Still, Ross has the words “Born Butch” tattooed on her knuckles. Then there’s the beard. The beard, says Ross, is natural. She takes no hormones, does not have Polysystic Ovary Syndrome, a glandular disorder that produces facial hair on some women. “I am just blessed with a beard,” she says, adding that she began cultivating hers in 1980, when she lived in San Francisco. It’s not as rare a phenomenon as one might think. Some straight women, Ross tells me, work hard to keep their beards from sprouting. Being butch, this was not a problem for her. Because Ross lives alone, I ask if she is lonely. She cuts to the chase. “Are you asking if I’m in a long-term relationship?” It turns out Ross has girlfriends in several ports, but they’re all on the West Coast. “I haven’t had a date in this area in years,” she says. Ross arrived in Northampton in 1993. When I ask how this came about, she says, “I ran out of gas.” I suggest some of the other places she’s lived must have been lonely for a bearded lady and Ross tells me the following story. She was living in Santa Fe, New Mexico, and heard that comedienne Lily Tomlin was in town. Ross, a fan, was so excited that she sat out on the plaza with a sign that said, “Lily Tomlin for president.” She says she didn’t even know at the time that Tomlin was “family.” (Tomlin, now an out lesbian, recently married her partner of 42 years. I didn’t know this). Ross roars with laughter from across the room, not so much at my ignorance but at my use of the word “straight.” She’s moved there to smoke after asking if I minded. I wanted to point out it’s her house but simply said no. 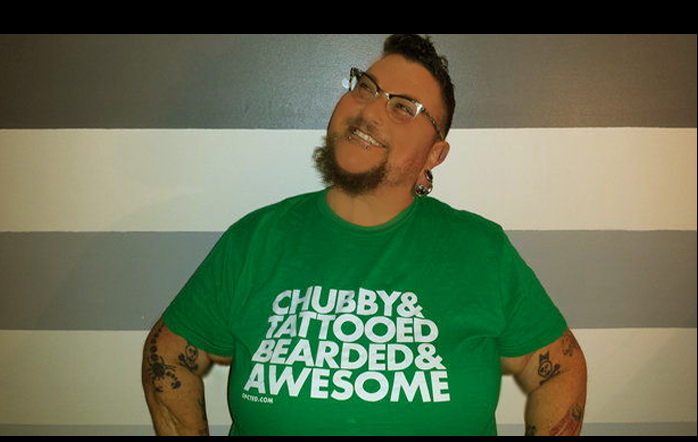 “BUTCH – Not Like the Other Girls” is a photo exhibit by SD Holman of Vancouver, B.C., that captures the many sizes, shapes and styles of butch. SD (pronounced “Sid”) is a friend of Ross, who volunteered to be curator for the local showing. After some searching, she was able to find a home for it here in Easthampton. It opens April 4 at the Mill Arts Project on 116 Pleasant St. and runs until May 4. The kickoff party on opening night is from 7 to 9 p.m. Be there or be square.